After the death of their parents, Ataru Kashiwagi and his younger sister, Yuri, depend on each other. 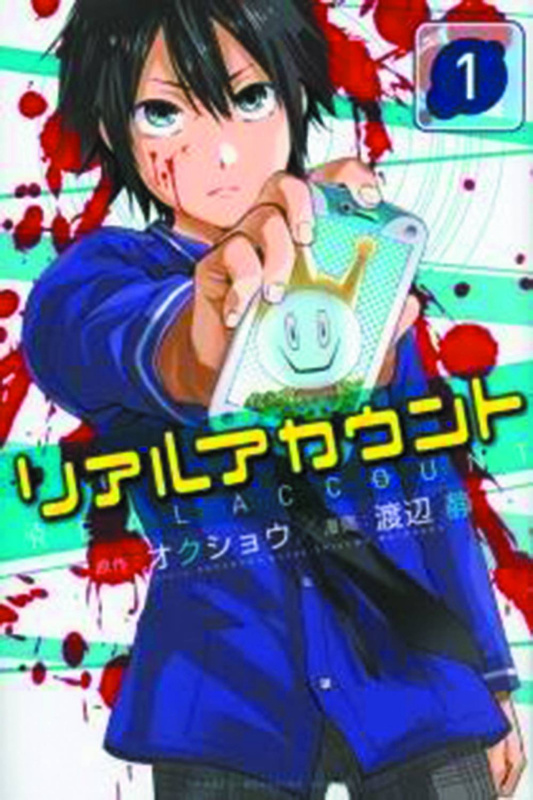 Ataru works hard at high school and his job, and spends his leisure time on a social media site: Real Account. Eventually, he hits 1,500 followers, but he sometimes wonders how much they really care about him. One night, the screen ominously begins to glitch, only displaying: The Game Will Now Begin. In the blink of an eye, Ataru finds himself transported into Real Account's loading screen - except now it's a 3-D lobby! Before them stands Marble, the smiley-faced announcer. With a sinister cheerfulness, Marble says, "If you die in here, you die out there... and so do all your followers!"